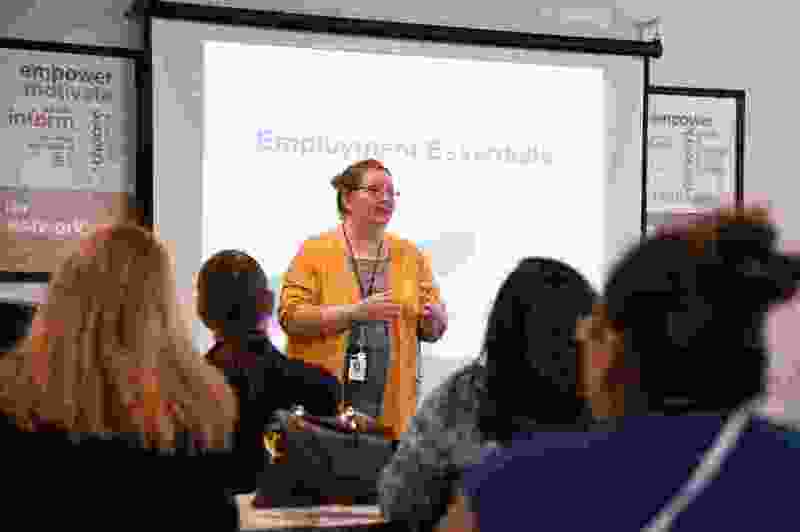 (Francisco Kjolseth | Tribune file photo) Work Success coach Rebecca Ntshalintshali runs a workshop at the Department of Workforce Services in Taylorsville on job hunting, being prepared for an interview and how to background a potential employer. Utah is back up to No. 2 in the nation for job creation over the past 12 months. Between February 2018 and February 2019, the number of jobs in the state grew by 2.9 percent — second best in the nation, according to seasonally adjusted data released Friday by the U.S. Bureau of Labor Statistics. Nevada was No. 1 with a growth rate of 3.5 percent, and Arizona was No. 3 at 2.7 percent. Overall, 22 states saw increases in their job numbers. During the past year or so, Utah often led the nation or was near the top in job creation — but in recent months had dropped in the rankings a bit. Seasonally adjusted data show that Utah added 43,700 jobs in the yearlong period — roughly the equivalent of adding a job for every person living in Bountiful. Eight of Utah’s 10 private-sector industry groups measured in the data posted net job increases over that period, while “other services” showed no change and construction lost 300 jobs. The largest private-sector employment jumps were in trade, transportation and utilities (10,400 jobs); leisure and hospitality (8,700 jobs); and education and health services (6,100 jobs). The fastest employment growth occurred in information (7.4 percent); leisure and hospitality (6 percent); and natural resources (4.4 percent). The Bureau of Labor Statistics also released data about unemployment nationwide — and reported that it is lower in Utah than most states. The unemployment rate in Utah was 3 percent, lower than the national rate of 3.8 percent. The unemployment rate means 48,300 Utahns were unemployed and seeking jobs in February. Iowa, New Hampshire, North Dakota and Vermont had the lowest unemployment rates in February, 2.4 percent each. Alaska had the highest at 6.5 percent, followed by 5.5 percent in the District of Columbia and 5.2 percent in West Virginia.